It's the time of year again that I'm able to unveil my new range of spring cards. With Easter not long away it's definitely worth taking a quick look through the new range. Bluebells are always a favourite of mine when it comes to Spring, and although they've not yet arrived they're perfect on a card to send off to a friend. This particular group of bluebells were taken in the grounds of New Kilpatrick Church in Bearsden last year. 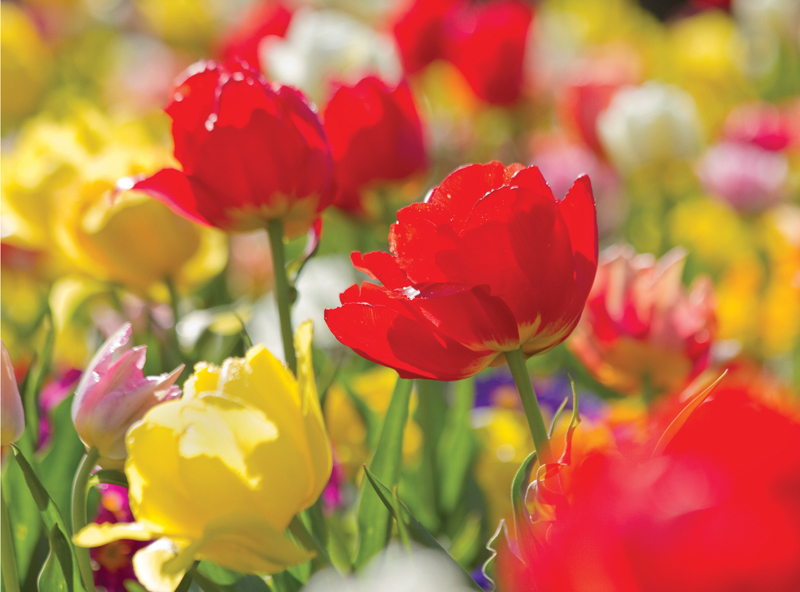 This patchwork of Tulips is a perfect example of Spring bursting into life with an explosion of colour. The bright sun shining though the colourful heads brings out the best of the amazing and vivid colours. This tiny patch of bluebells is perhaps one of the best and prettiest I've ever had the chance to photography. And that fact is made all the more special by the fact that they grew in my own front garden! The one thing for me that is synonymous with Spring is the arrival of snowdrops in our gardens and woodlands. One of the best places I find to go and capture these little beauties is Mugdock Country Park. Have a browse through all the new cards and many others by clicking on them below.